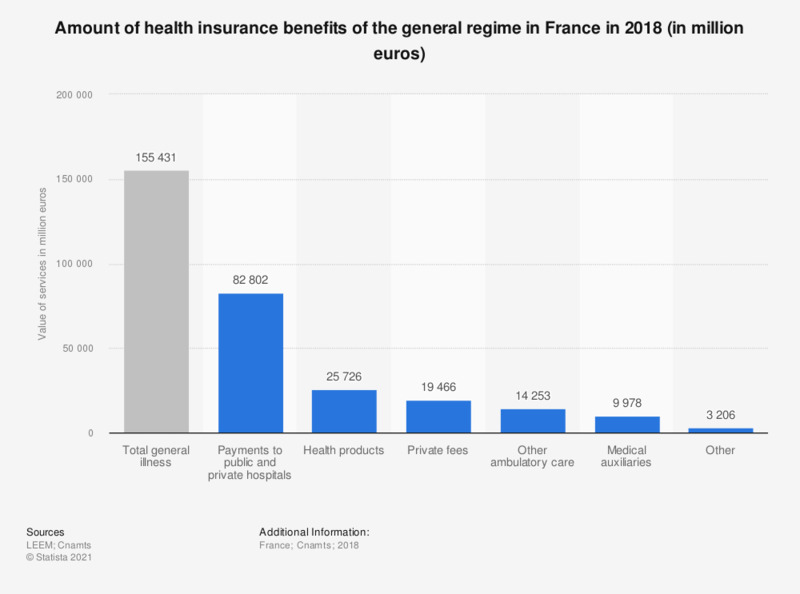 This statistic shows the amount of health insurance allowances for the general scheme in France in 2016 (in million euros). At that time, the value of private private fee allowances was close to 18 billion euros. Statistics on "Health care in Japan"